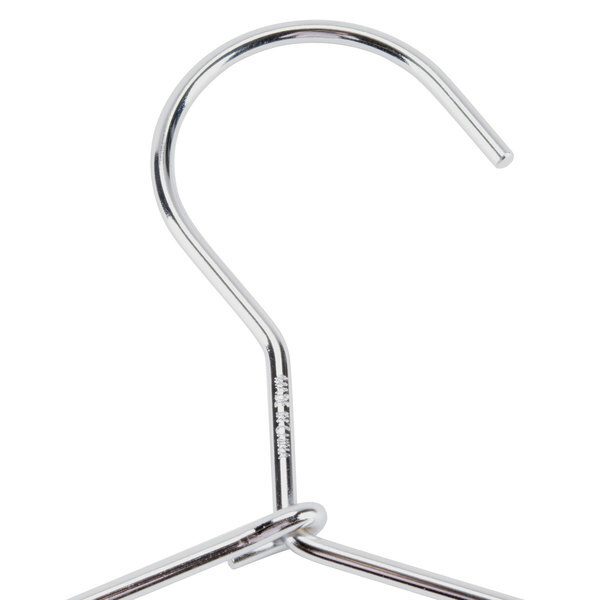 This durable open hook hanger is perfect for any closet for your kitchen or your hotel guest rooms. 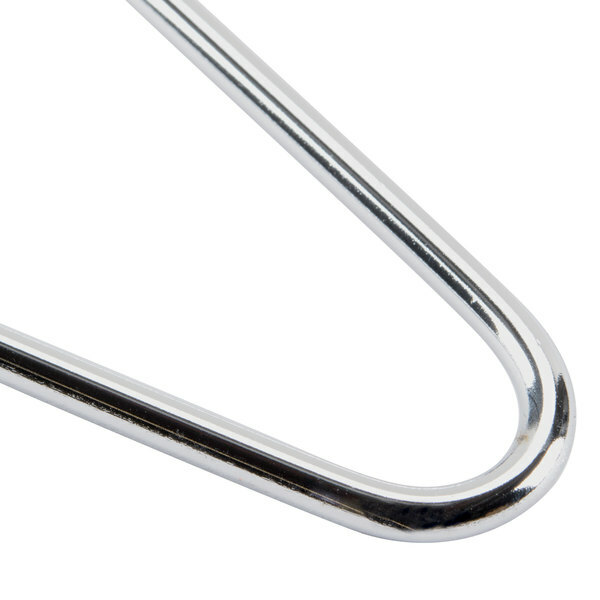 Made with heavy-duty 4mm chrome, this hanger is durable and long-lasting. 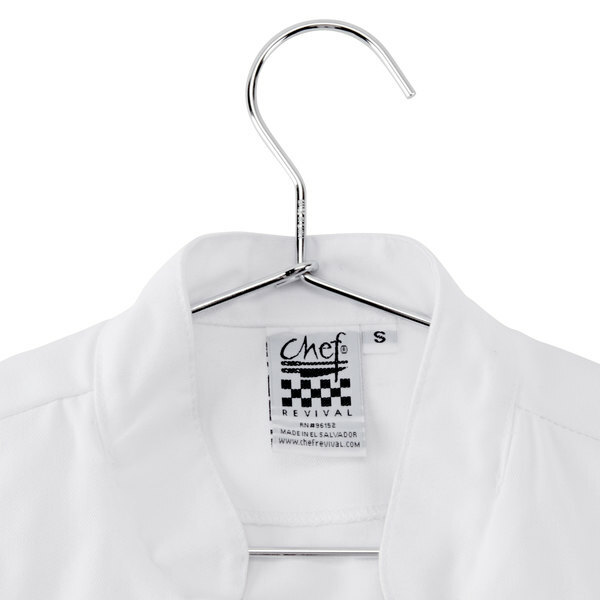 Hang this hanger in guests' closets to accommodate their belongings, or use it to store your chef's jacket. Because it comes with an open hook, you or your guests can remove the hanger from its closet or rearrange the order of hanging garments. The open middle provides additional storage space for draping pants or other garments. 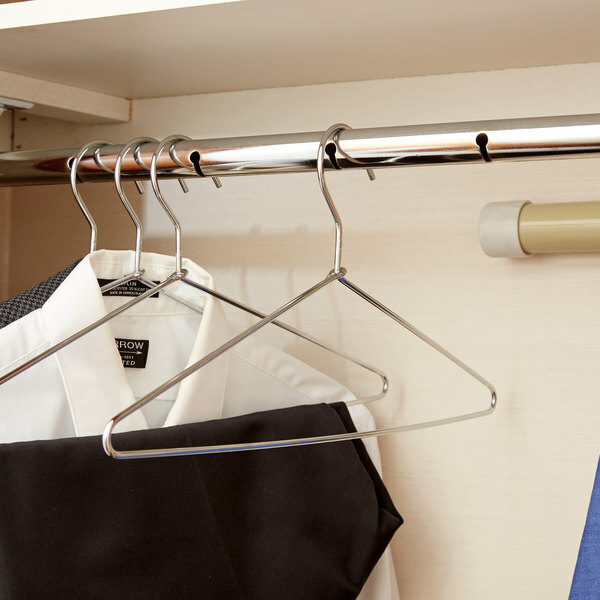 These are the best silver metal hangers. They are super heavy duty. I can hang multiple items on them and they can with stand it. I needed hangers in bulk and couldn't find another deal quite this good. 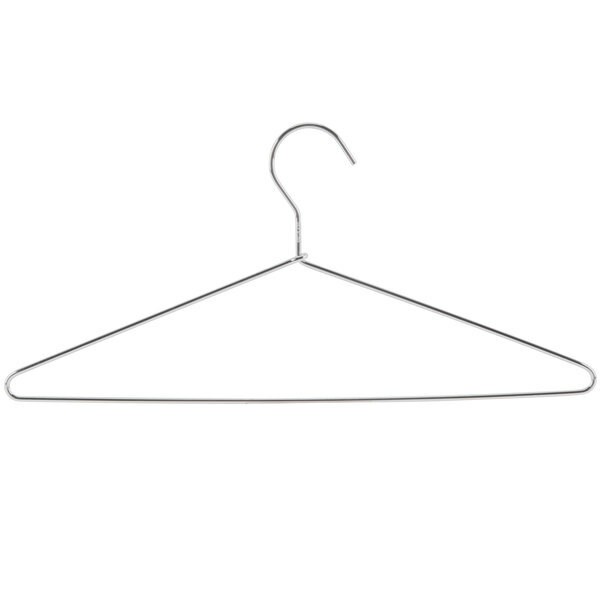 Wire hangers are fine for a coat closet. None of them bent or damaged so far. Love these hangers they make a pretty sound when sliding them on the rack. looks just like the picture. very durable. 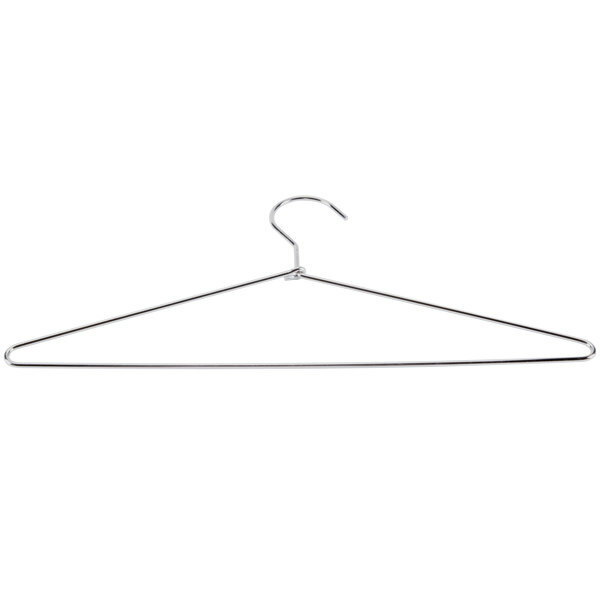 heavy duty metal hangers. As a rental company, we send these out with our coat racks. They have a clean, professional look. They are durable, and have been perfect for our needs. Absolutely love these hangers. Honestly, these were my first experience buying bulk in hangers but I honestly believe this will also be my last. We've had all of ours for six months now and they've performed their job admirably, even the heaviest coats are safe on one of these babies. Have bought heavy chrome hangers from two other companies. They cannot begin to compare to the quality of these hangers. They can hold the sturdiest garments without sagging in the middle after having been in use for a period of time. Also they use less room in the closet so that additional garments can be stored.